Hours after Israel shelled yet another UN school sheltering internally displaced families and a marketplace in Gaza, killing dozens of people, an unnamed defense department officialrevealed to CNN that the US had approved an Israeli request to tap into the one billion dollar weapons stockpile the US keeps in Israel. The last time Israel dipped into the special stockpile was in 2006, during its assault on Lebanon. Two of the munitions Israel demanded—120mm mortar rounds and 40mm grenades—happened to be available in the stockpile, so the US delivered them to the Israeli army from there. “Issuing munitions from the War Reserve Stockpile Ammunition-Israel (WRSA-I) was strictly a sourcing decision,” explained Kirby. Arming Israel to stop violence? Today Israel has killed over 1,300 Palestinians in Gaza since 7 July, including more than 300 children. Almost 80 percent of those killed have been civilians. In stark contrast, actions by armed Palestinian resistance groups, mainly Hamas, killed 56 soldiers and three Israeli civilians, one of whom was a West Bank settler killed while voluntarily delivering treats to Israeli soldiers stationed at the Gaza border prior to the ground invasion. Hamas rockets, which do little damage, lack precision guidance systems and are therefore indiscriminate by default, although Hamas has said on occasion that rockets it has fired were intended for military targets. 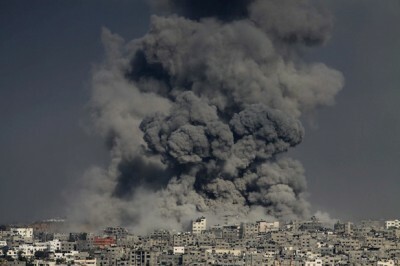 Conversely, Israel, with a high-powered US-financed precision-guided arsenal at its disposal, has deliberately bombed civilian targets including private homes, hospitals and mosques, as well as schools, UN shelters, playgrounds, ambulances, media buildings, water treatment facilities and Gaza’s only power plant.